Most private schools require an admissions test as part of the admissions process. 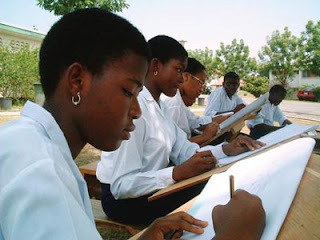 The two most common tests are the Independent School Entrance Exam (ISEE) and the Secondary School Admission Test (SSAT), and there are several other tests used by parochial schools. Dates, fees and times offered vary by test and schools have different admission deadlines. Why Take a Test? The same rationale carries through from private school testing to admissions tests used when entering colleges and universities and then graduate schools. Additionally, private schools use the test to help place students in academic programs where they will succeed. Each school evaluates test scores according to its own standards and requirements. The Independent School Entry Exam (ISEE), offered by the Educational Records Bureau (ERB) has three versions: the Lower Level is for applicants to grades 5 and 6, the Middle Level for grades 7 and 8, and the Upper Level for grades 9 to 12. The ERB offers free "What to Expect on the ISEE" preparation material for each level and a comprehensive student guide with testing dates at their web site. At each of its three levels, the ISEE consists of three parts: carefully constructed and standardized verbal and quantitative reasoning tests that measure capability for learning; reading comprehension and mathematics achievement tests that provide specific information about a student's strengths and weaknesses in those areas; and, an essay section. ISEE test results include a Test Profile, which contains information on how the student's performance compares to other candidates in the same grade who have taken the test in the past three years. The Analysis section gives detailed information on the individual student's strengths and weaknesses, based on the specific types of questions he or she responded to on the ISEE test. The Secondary School Admission Test (SSAT) is administered on two levels: the Lower, for students in grades 5 through 7, and the Upper, for students in grades 8 through 11. 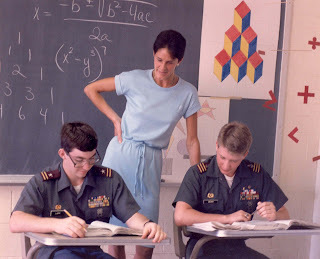 The multiple-choice aptitude test consists of verbal questions to test vocabulary, verbal reasoning and ability to relate to ideas logically; quantitative (math) questions to test ability to solve problems involving arithmetic, elementary algebra and geometry, and concepts; and, reading comprehension sections. In addition, the test includes a writing sample portion, which asks students to respond to a topic statement. A study guide with practice tests is available for $29 from the web site. SSAT results include scaled scores - verbal, quantitative, reading and total - as well as percentile ranks for each category, compared with other students taking the SSAT over the past three years. For students in grades 5-9, national percentile rankings are provided to compare the student's performance to the national student population, including those not taking the SSAT. For students in grades 7-10, the results also predict twelfth grade SAT scores. 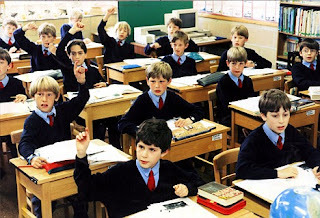 Other tests - primarily used by parochial high schools - are the Cooperative Admission Exam Program (COOP), which provides a sample test and student handbook at their web site, and the Test for Admission into Catholic High Schools (TACH), which provides a student handbook at their web site. The High School Placement Test (HSPT) from Scholastic Testing Service also is used by parochial schools and other schools for testing eighth graders for placement into high school. In addition to the free ISEE prep materials, numerous private companies offer test preparation classes, and a variety of test preparation books are available at bookstores to help students get ready for these private school admission tests. It is recommended that students take a few practice tests to become familiar with their format before taking the actual test. Among other reasons adduced for the astronomical increase in exam malpractices in recent years are that in certain cases, "questions are not related to the syllabus", and consequently, examination malpractices are encouraged. It's also, been alleged that subject syllabuses are overloaded and difficult for exam candidates, so they often times find it difficult to cope. But, are these tenable excuses for dubious candidates and their depraved collaborators to engage in exam irregularities? It's simply indefensible for candidates to resort to exam irregularities. For instance, it's been observed that in most public schools in particular, students are seen roaming the streets, while some seen with home video cassettes and compact disks (CDs/DVDs) and others playing football during school hours. As a result of this widespread evil practice, many parents are becoming disillusioned by the day. The quality is so bad that you spend a fortune training them without getting any result, because some things that should have happened earlier in their lives did not happen, Mrs. Ijeoma Rita Obu, a human capital development professional and CEO of Clement Ashley Consulting, once lamented in her chat with BusinessDay. Contrary to an express suggestion by the National Assembly that the Nigerian Universities should stop the conduct of post-Universities Matriculation Examinations (post-UME) tests being administered by these institutions, it is instructive that the concerned authorities need to improve on the internal mechanisms of the Joint Admissions and Matriculation Board (JAMB) and operations of related exam bodies in Nigeria. The lawmakers, nonetheless, need to realise that if such inadequacies, including examination malpractices and candidates' poor preparations for the challenges of tertiary education had not been identified by these academics in the nation's Ivory Tower earlier, the idea of post-UME would not have arisen in the first place. Though JAMB, WAEC, National Examinations Council (NECO), National Business and Technical Examinations Board (NABTEB) and National Teachers Institute (NTI), among others are reportedly making efforts at blacklisting and derecognising some schools and exam centres over confirmed irregularities for certain periods of time, appropriate governmental authorities also, must complement their efforts by applying diligently, the provision of Examination Malpractice Act 33 of 1999, stipulating punishment ranging from a fine of N50, 000 to N100, 000 and imprisonment for a term of 3-4 years with or without option of fine, in order to serve as a deterrent to other internal and external examination fraudsters who yearly feed fat on these illegalities. English is the foremost spoken language in the whole world. That's why it is absolutely crucial for you to know how to develop good writing skills in English. Unfortunately, not everything can be learned from the classroom. A little extra help can go a long way. Here are some ways on how to develop good writing skills in English. If you're an avid reader, then this should not be a problem for you. Reading books helps you get a better grasp of the English language. You're able to see how people use certain words or construct sentences apart from the examples on your language handout or references. Plus, you'll also gain more confidence in your own writing style. If you're not a fan of books, you can always read short stories or feature articles online. Even some magazines will help you develop good writing skills in English. If you want to develop good writing skills in English, you're going to have to write something at some point. A lot of people who keep journals are able to practice their English very well. If you prefer typing to actual writing, that's not a problem either. Your writing skills will not be impeded by whatever method you choose to use. If you don't want to write a diary, try writing essays. In my case, I often enjoy writing "what if" essays. Ask yourself a "what if" question and answer it in essay form. This way, you won't run out of ideas and tire of the exercise immediately. 3) Put Your Work Out There. Part of the ways on how to develop good writing skills in English is feedback. A lot of people fear this stage because they don't really want to hear others criticize their work. However, that is part and parcel of the whole process. It's like the story of "The Emperor's New Clothes." Do you really want to live the rest of your life wearing no clothes just because you can't handle a little honesty? It's natural to be a little apprehensive about showing your work to others, which is why I suggest you only show it to those people who you really trust. They will give you the honest feedback you need without mocking you for your efforts. Even successful authors need to keep learning how to develop good writing skills in English. You can't remain stagnant just because you're too lazy to read or write or too afraid to hear what other people think. You have a lot more potential than you realize. Like most South East Asian countries, Indonesia is proud of its vibrant street-food culture. Growing out of necessity, road side stalls offers busy Indonesians on the go everything from a quick snack to a satisfying meal cheaply and conveniently. Across Indonesia's many islands and provinces you can expect to find roadside vendors, known locally as warungs, all over the place dishing out sumptuous traditional fare. 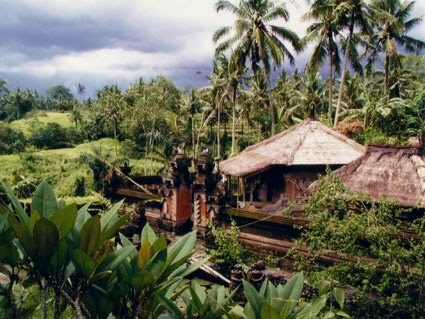 The warungs of Indonesia's island province of Bali have always been popular not only among the locals but also, increasingly, for tourists. Bali's warungs have received a boost in recent years by being featured in globetrotting celebrity chef Anthony Bourdain's highly popular travel show No Reservations. Famous for eschewing fussy, pretentious hotel meals for simple and honest local fare, Mr. Bourdain has enthusiastically given his mark of approval to the venerable Balinese warung. One such example is Naughty Nuri's located near Ubud in central Bali. Not your typical Warung, Naughty Nuri is famous for its traditional Balinese barbecue dishes as well as tourist friendly martinis and sashimi specials. Most warungs specialise in only one type of dish, and they do it very well. Ibu Oka is known far and wide for their mouth watering tender roast pork stuffed with a secret blend of Balinese spices and spit-roasted over an open fire while basted with coconut milk. Nestled near the beach in a picturesque fishing village on Bali's east coast, Meta Sari is a tiny warung renowned for a delicious spicy-sweet minced fish satay known locally as sate lilit ikan. Like the food, the settings of warungs are simple and unpretentious - if anything the rickety tables and thatched roofs are an essential component of an authentic Balinese street food experience. Visitors to Indonesia's island paradise of Bali are depriving themselves of a treat if they never make an attempt to eat at an authentic warung. Math. The ultimate torture for most people. Many of us struggle with multiplying numbers, solving algebra, finding angles, and more. In fact, just talking about it makes some people's heads spin. With the right techniques, math can be a less painful experience. To get better at math, the first step is to read the section in the textbook that you have problems with. Look at the examples and see how the authors solve the problems, step by step. After getting a feel for the math, work out some easy problems. Make sure you check your answer after finishing each problem. There is no point in continuing to the next problem if you are getting the answers wrong. Sometimes the book may have a few problems that show the full step-by-step solution. If solving problems does not help you out that much, you should look for a math tutor. Usually peer tutors can be found at your school or college. These tutors are usually students - people who have been through the same class as you. They will likely know better techniques than your teacher on how to approach the math. This is an opportunity that most students pass up because they are afraid they will be laughed at. If you take tutoring, you will have better grades than if you hadn't went. Watching videos of people doing math is also a great way to help you get in the problem-solving mindset. It is similar to tutoring, but you can watch them wherever you have access to internet. Finally, an online study community is another great way to learn math. You can ask for help or answer other people's questions. Both contribute to learning. In fact, teaching someone else strengthens and reinforces your understanding of the material. Teaching English is a challenging enough thing to do to adult learners. But learning how to teach English to beginners could be a tad more challenging especially if you're teaching abroad. There are special considerations that you'll have to keep in mind, and a little more patience to spare. When you teach any foreign language to young learners, it means that you are not only going to have to teach the subject as you would in a typical classroom setup. Because of the age of the learners, you will have to constantly keep them interested. Children have short attention span, and if you're teaching English,you will have to exert extra effort to keep their attention to the subject. If teaching children is not your specialization, you should already start learning new strategies and approaches to teaching children and stacking up on different activities. If you make your classes fun and full of activities and other games that promote learning and interaction, the actual teaching part will be a piece of cake. 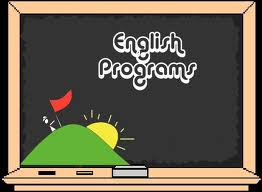 You students will always look forward to the next lesson, and they'll look at learning English as a fun experience. If you're opting to teach English abroad, there might be additional tests and certificates that will be required of you. Educational institutions abroad may require you to take TOEFL and take up ESL to measure your competency to teach and communicate using the English language. It's better to take care of all of these early than to rush taking the exam unprepared just so you could present a certificate. In the long run, your methods on how to teach beginners will not solely depend on what you've learned. Over time you will adapt to the attitude and temperament of your learners and adjust the lessons according to their level of comprehension. So if you've been wondering how to teach English to beginners and whether or not you will be able to pull off teaching English abroad, just keep these things in mind so that you'll at least know what to expect when you get there and teach. After the market meltdown of 2008, and the sudden realization that our Banks were exposed and faced bankruptcy, our Governments stepped in and bailed many of these Banks out with taxpayers money, effectively taking over their debts. The old pre-crash Banking system was complex, large Banks became internationalized with the Global Economy, and often used depositors savings to hand out loans to consumers outside their own national boundaries. As these banks grew, so did the need for profits, and credit. This ended when markets realized these profits were based on overvalued property prices and stocks in the US and the UK Technically leaving these Banking giants exposed to toxic debts, and the personal debts of creditors due to over-extended credit. Governments stepped in buying shares in some cases or in other cases effectively taking over these banking giants that dominated the old era of fast Globalization.Technically keeping Banks open that lost trillions of dollars in speculating in a false bubble economy. In the last Banking crisis in Argentina, depositors found International Banks closed, and their savings gone. Irrespective of the fact many of these banks were profitable outside Argentina, leading to a trend were Argentineans today prefer to deposit funds in a protected local Bank. With Governments effectively "owning" many of these International Banks, these overseas "Branches" could be sold off to localized interests. This was the case of Morgan Stanley that sold off its Asian-based Branch to a cartel of local Investors.This should cut the excess fat off these bloated, over-exposed Banks, and bring in additional income that should help to lower their huge debt levels. Therefore technically severing ties of these autonomous regional banks, that still remain profitable, locally. Selling assets raises money, and could help relieve the burden nationally these failed banks have passed onto Governments via the Taxpayer. More exposed Banks could eventually become 100 percent owned by our Governments. As debts mount, and the banking system is reformed. 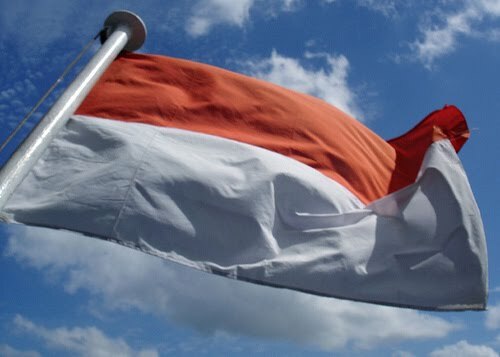 After the Asian Crisis of 1998, Indonesia had hundreds of exposed National Banks, that were either merged or taken over by the Government. These Banks were reformed, as local Banking laws governing Banks were. Then many were sold off at a profit to the Government, through the local Stock market.The irony of these Banking reforms were that the Banking giants that are currently broke and indebted in our Countries, took over and bought into many of these Banks. Therefore Internationalizing the Banking system in Indonesia, although except in the case of ABN Amro, no International Bank in Indonesia has collapsed or been bought out by the National Government. This action was requested by the IMF that granted Indonesia billions of dollars in emergency loans, loans the current Government are still paying off today. One question still haunts both our Governments and confused taxpayers: What happens if our Economies do not recover? The effect of huge Bank bailouts has meant that these toxic Banks are in fact owned by our Governments. Many Governments state officially they have not been nationalized, but are technically National property.If a recovery fails to materialize, then Governments can simply take over these Banks officially, by either buying out the remaining minority shareholders or by declaring them National property. This is the worse scenario, as our Governments officially own our debts and in regards to housing, any property these banks own through private Mortgages. In economic terms if Banks are completely Nationalized, then Governments control the money supply, our debts, businesses and housing. Our Economy would turn into a command economy. We still will "own" our private property, but only if we can repay the debts owed to these new State Banks. In an extreme scenario our Banks could be merged into one single State Bank. It could also lead to strict controls on monetary policy, and in Countries worse affected by the Crisis, even a change of currency. The new reality we face is that Bank bailouts, have created a dependency on our economy recovering, otherwise we could face living in a State that has been forced to become Communistic in order to survive a complete financial collapse. Not a big secret to most parents, but sometimes we are unaware of the influence we have on our children. How often have you sat faced with a list of figures - balancing the check book, credit card statement or filling out tax forms - and muttered about how much you hate math, how hard it is, how you just don't have a head for math? You need to stop yourself right now! What you are telling your child is that math is a horrid chore, a difficult task, and one that you either have the talent to do, or you don't. You are making your child anxious about a school subject that they will have to do for many years - and a skill that they will need for the rest of their lives. Secondly, get your child interested in math from an early age. Math does not have to be about columns and columns of figures, and the sooner you can introduce your child to math in a fun way the better. Mathematics worksheets can help you do this, with pages of fun exercises that will teach your child the basic principles they need. This helps you, as you don't have to write out pages of math exercises and try to make them interesting - it also helps your child. A good set of kids math worksheets will present math in an exciting way, incorporating lessons of quantity, counting and writing numbers in a way that children understand and relate to. Mathematics worksheets should use different methods to teach your child the principles of addition and subtraction to make sure they understand the concept, not just learn the answers by rote. A decent set of worksheets will use step-by-step methods to help your child progress from the first steps in number recognition and counting, to more complicated sums and word problems. The secret to learning math is to have an open mind about it. Just because you hated math doesn't mean your child should, and you will be doing them a disservice if you pass your negative feelings on to them. Make learning math fun, get a comprehensive set of mathematics worksheets to make it exciting and stimulating, and encourage your child's efforts all the way. Every math genius had to start with 1 + 1, just like your child. More and more of the people in the work force are expatriates. An expatriate is someone who resides in one country and works in another. For those who already speak the English language going to another country won't be much of a problem in terms of communications. But for those whose first language is not English it could pose a problem. 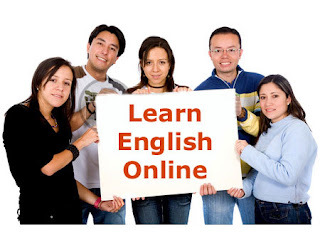 It is important to learn Business English if you are going to be successful in another country where English is the primary language, such as Australia, United Kingdom and the United States fro starters. If you already have a basic understanding of the language by learning to speak it then you are on the right track. It would also be a great idea to practice writing in business English as well. If your local University offers a course in Business English, it would be a good idea to invest in the class. Reading, writing and speaking English is a great way to start a career. Business English is a bit different than asking where to find the nearest hotel. Here are some key language skills that you must learn to master Business English. Vocabulary and Grammar are a good place to start, you need to understand what words mean and that is very important. This is one of the most common mistakes made in learning English. Try using them in a sentence; ask someone who is more fluent in English to help you, so you know if you are grasping the concept of the language. Once you have an understanding of English, you have to apply it to Business English. In business you will have to learn such things as taking messages, answering the phones with proper etiquette and communicating with your fellow co-workers. You may have to learn how to set appointments and possible make travel arrangements. Business English is very different than speaking regular English, the structure is the same but you have to learn things like properly expressing yourself in a professional manner or maybe making a presentation in your office. If you are working in the customer service sector, you really have to bone up on the Business English. Most businesses offer training sessions and companies that employ foreigners they offer classes on how to perform the job with the proper business English. The BlackBerry smartphone has become increasingly popular especially in Indonesia. Unlike other parts of the world where BlackBerry smartphones are used in corporations for corporate use and mainly as BES - BlackBerry Enterprise Solution for work, the smartphones are commonly used by the young as well in Indonesia for leisure activities such as for social networking especially with Facebook, Twitter and the BlackBerry Messenger service. 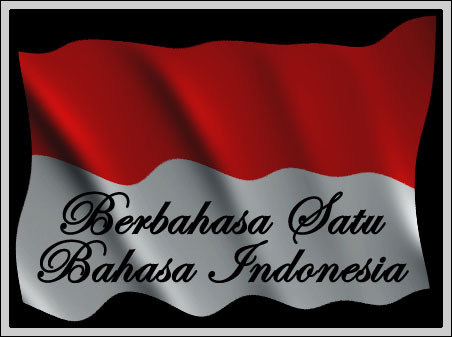 Most users in Indonesia are subscribed to BIS - BlackBerry Internet Service instead of BES as in other parts of the world. The reason for the popularity of BlackBerry in Indonesia can also be due to the fact that Indonesia operators are one of the first in the world to introduce prepaid services including daily and weekly rates as cheap as Rp5000 (by XL) per day which is around USD 0.55 per day for unlimited BIS package. Other cheaper options include the "lite" package where subscribers can opt for chatting with push email service or chatting with browsing services for as low as USD 0.30 per day. Other BIS operators apart from XL in Indonesia include Telkomsel, Indosat, Axis and Three Indonesia. This made it easily affordable for the younger generation Indonesian to adopt using the smartphone. BlackBerry handhelds costs about Rp2.4juta / USD 250 for the Curve 8530 model which compared to the iPhone price tag of Rp8jt / USD850 made BlackBerry the smartphone choice for many youths. With this tremendous growth in popularity of BlackBerry in Indonesia, Research in Motion (RIM) has decided to set up several service centers in Indonesia. Welcome to our blog hopefully you get something you need for your purposes in your exam.